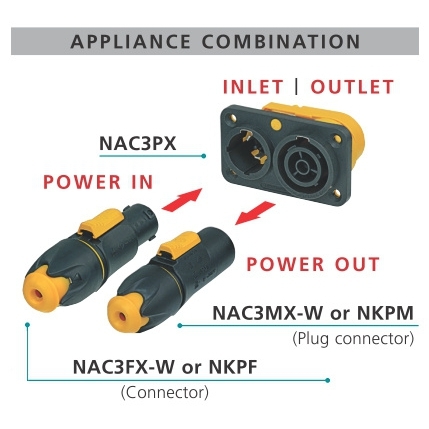 Neutrik NAC3FX-W locking female cable connector | DamenCNC B.V.
Locking female cable connector, screw terminals The powerCON TRUE1 is a locking waterproof 16 A true mains connector. 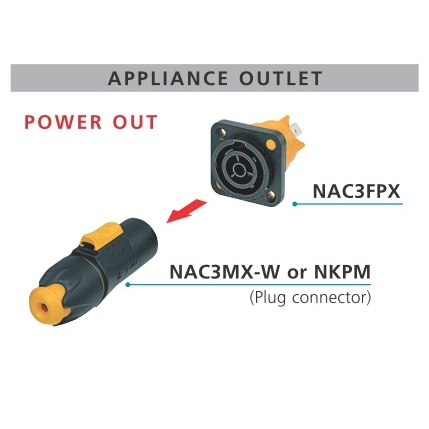 It replaces appliance couplers wherever a very rugged solution in combination with a locking device is needed in order to guarantee a safe power connection. 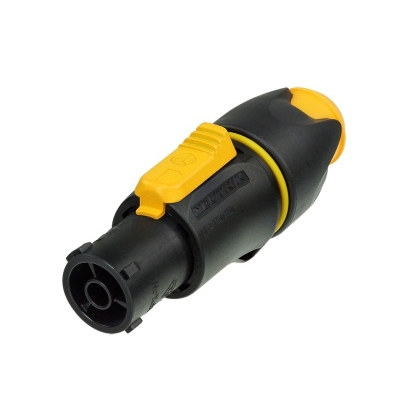 The powerCON TRUE1 is a connector with breaking capacity (CBC), i.e. it can be connected or disconnected under load or live.